With cauliflower costing $7 these days, finding ways to save money is a smart strategy. Finding ways to score free stuff is even smarter. 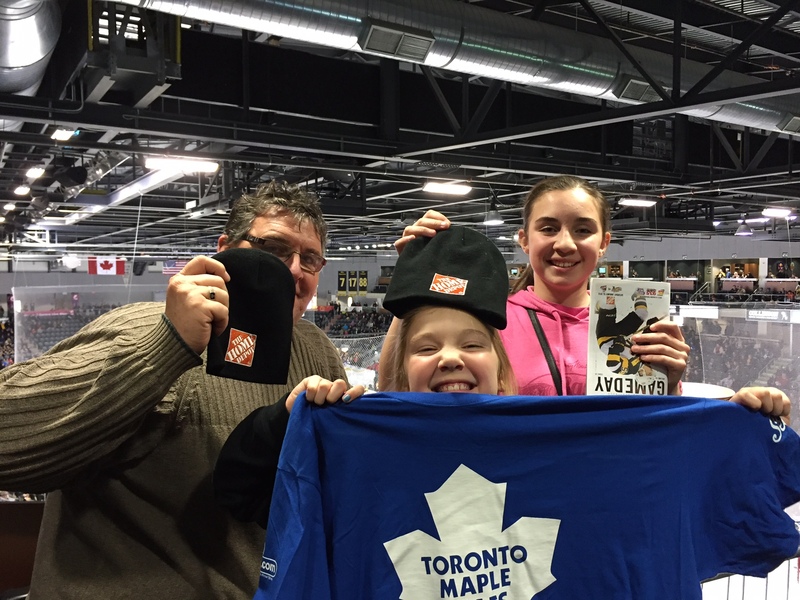 Last night we were at the KROCK Centre watching the Kingston Frontenacs Game beat the Niagara Ice Wolves. It was blue and white night, and after the whistle, they were throwing Maple Leaf t-shirts into the crowds. Home Depot held a drilling competition during one of the intermissions and were giving away free hats. We scored on both fronts at the Fronts! Then on the way home, we’re in the Tim Hortons drive thru and they made a mistake on our order so we scored an extra two donuts and hot chocolate. It was a banner night in the Swinton household. Attend a sports event. At the last three or four games we’ve been to, we’ve scored free t-shirts and hats. You don’t have to spend a mint either on the admission ticket. Last year we went to the Queen’s-Ryerson men’s and women’s double header basketball game and scored free t-shirts. Shop at Costco. Sure, you may wind up a few hundred dollars in the red when you leave the place, but if you try all the samples, you’ve basically scored a free meal. Sign up for a charity walk or ride. Many charity events, like the Big Bike for Heart and Stroke give you a free gift for different pledge levels—a win-win for everyone. Look for introductory offers for organizations. As an outdoorsman, Dave takes out an annual membership to the Ontario Federation of Anglers and Hunters. They have this amazing introductory offer where you get a tackle box full of lures, a reel, fishing line and more. Watch for 2 for 1 coupons on items, especially if it was something you were going to buy anyway. If you don’t need the second item, tuck it away for a gift. Attend a trade show or fair. These are goldmines for scoring free stuff! When travelling, research which local attractions are free or have free days. When I was in Washington last year I was surprised to learn that all of the Smithsonian museums are still free to the public. This may not technically qualify as free stuff, but with the high cost of vacation travel these days, finding free things to do is a fantastic score. This week’s #HappyAct is to see what you can score for free this week. Just be prepared for the inevitable argument when your nine-year old insists on wearing her new Maple Leafs t-shirt to bed when your Canadiens loving spouse bans all blue and white in the house. What’s your best free stuff score? Leave a comment!